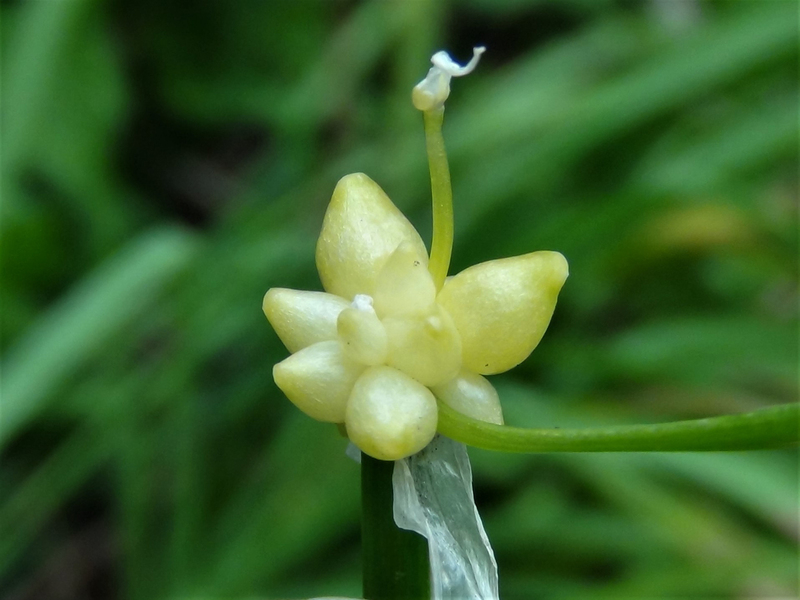 An invasive wild onion from Asia, this plant produces small garlic like bulbils at the base of the short, thin, flower stem. 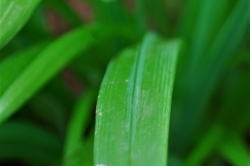 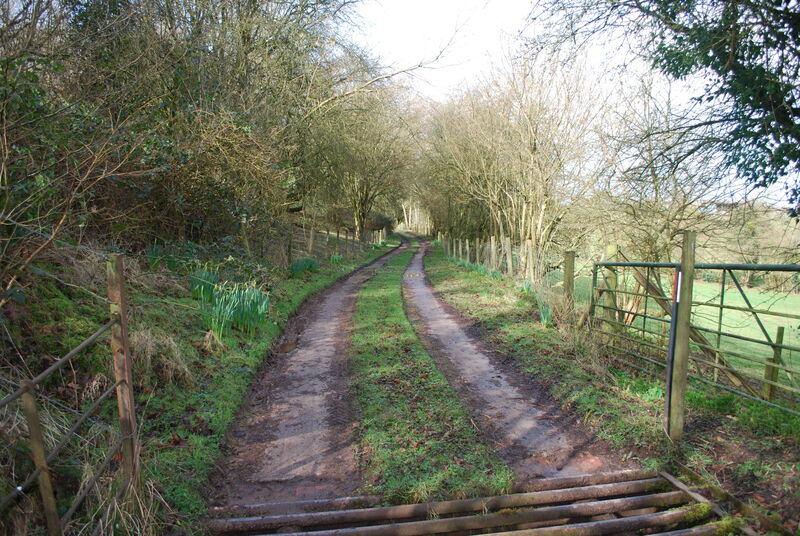 Long, thin and green with a furrow running the length of the leaf on top and a ridge underneath. 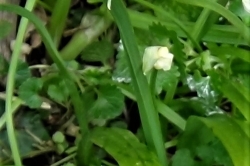 The underside is shown in the adjacent photo. 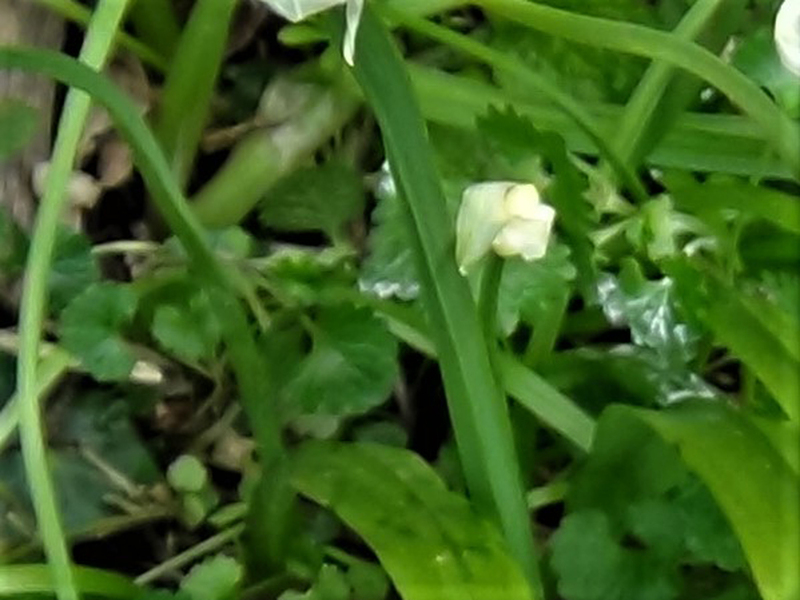 A small, delicate, white petaled flower which can have slight markings on the petals but mainly seen as plain. 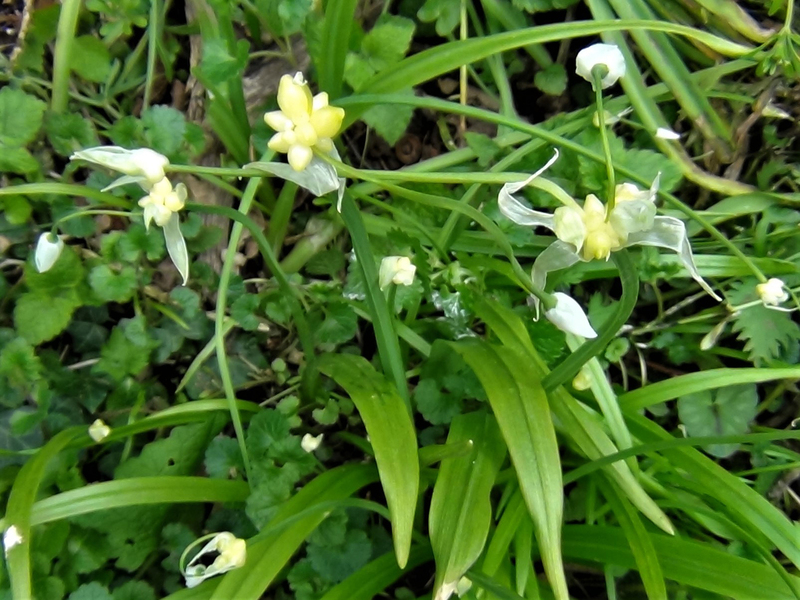 There is normally only one or not many flowers per plant, hence the common name. 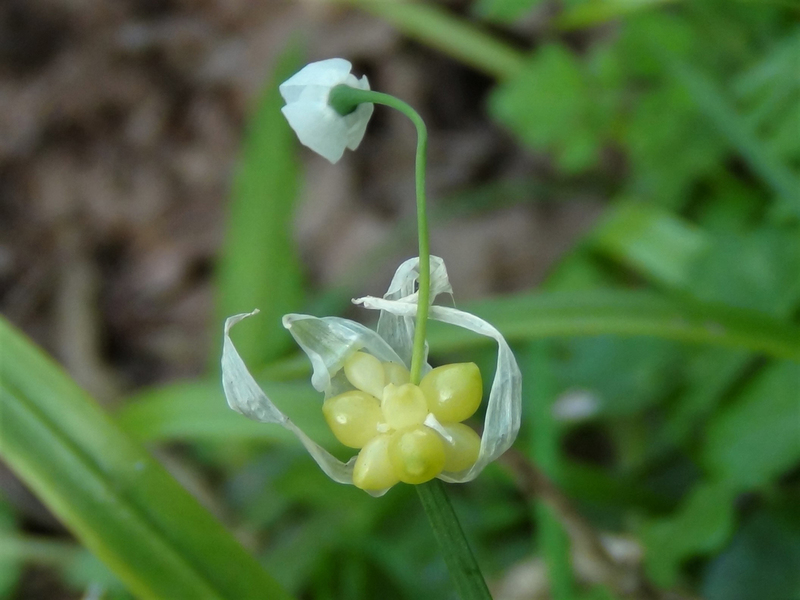 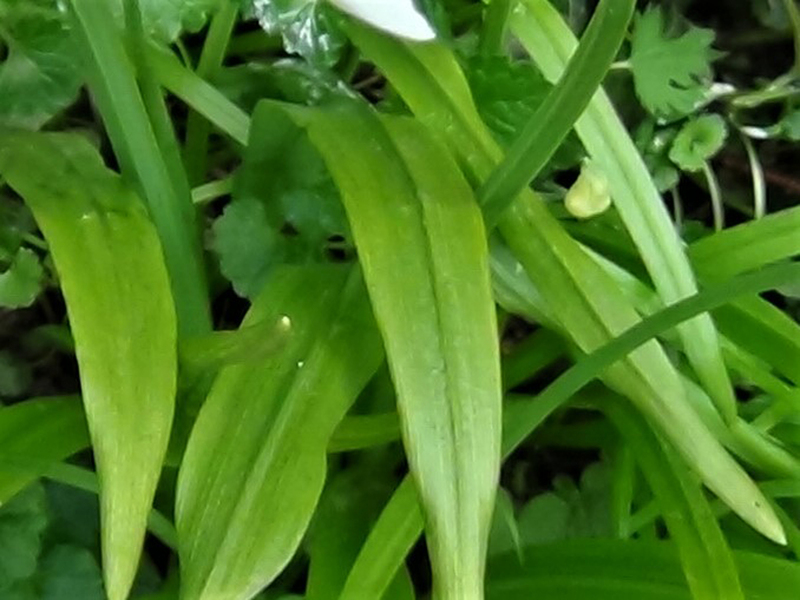 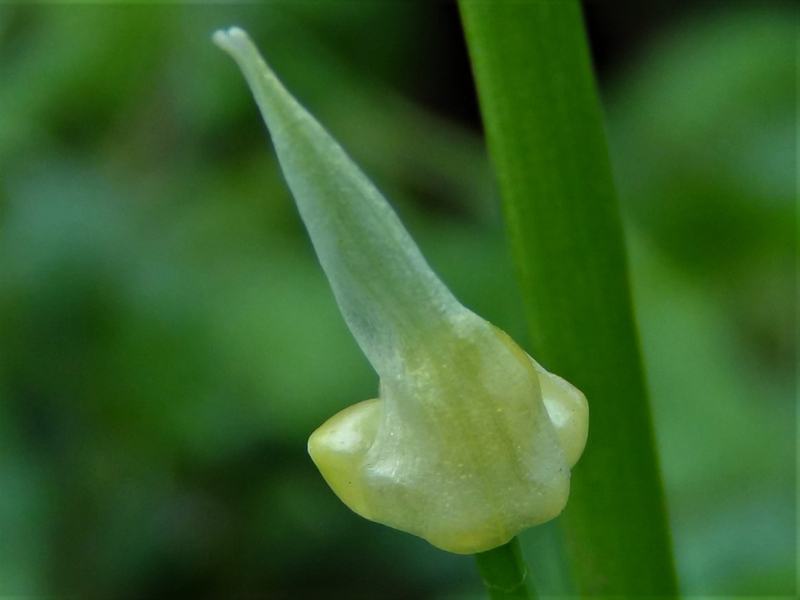 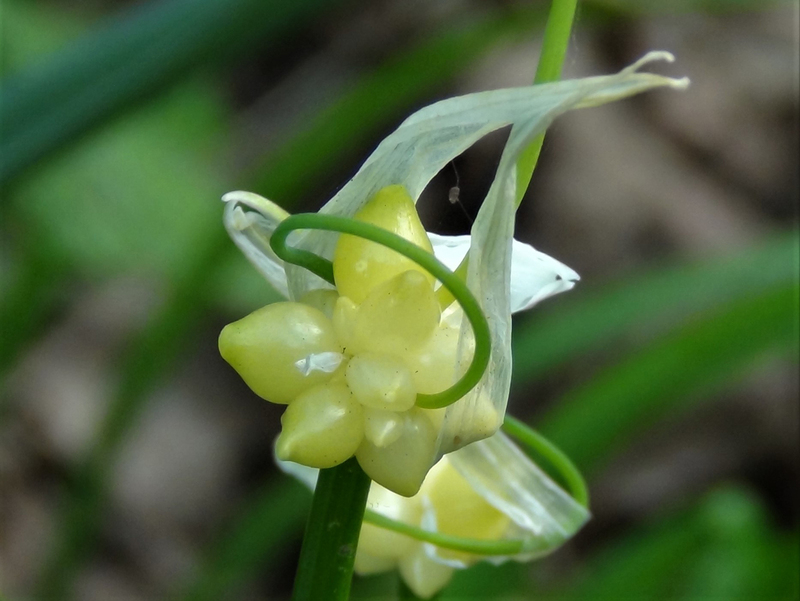 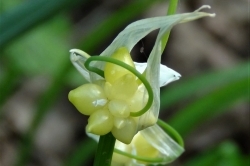 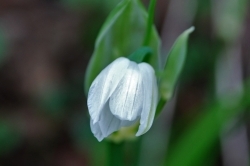 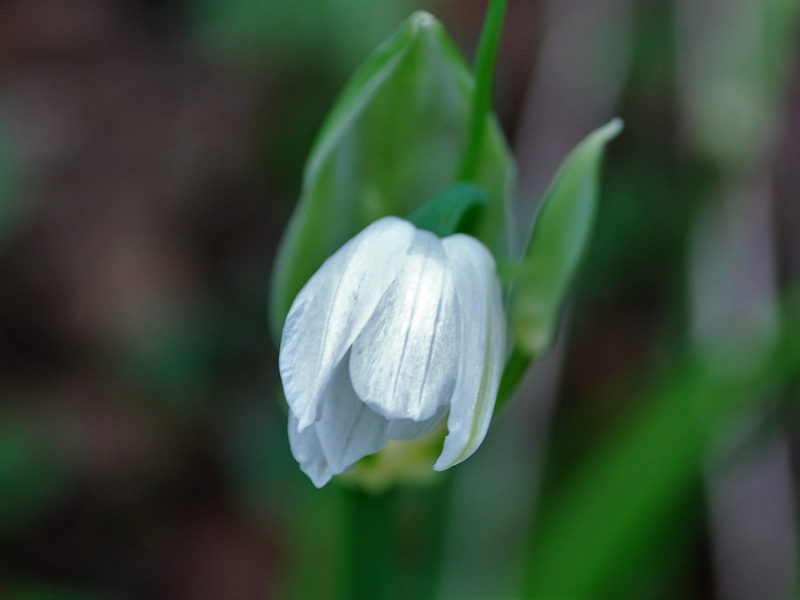 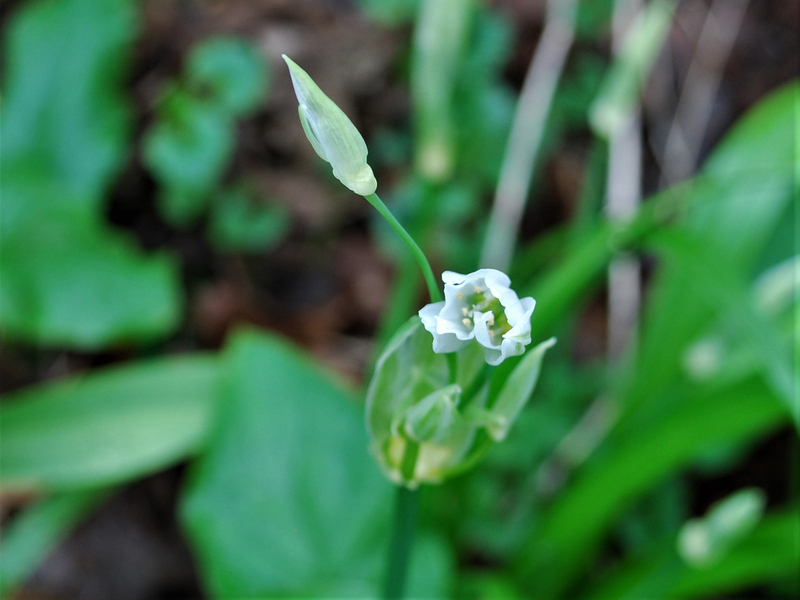 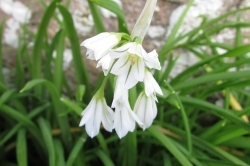 Has a triangular flower stem like Three-Cornered Leek. 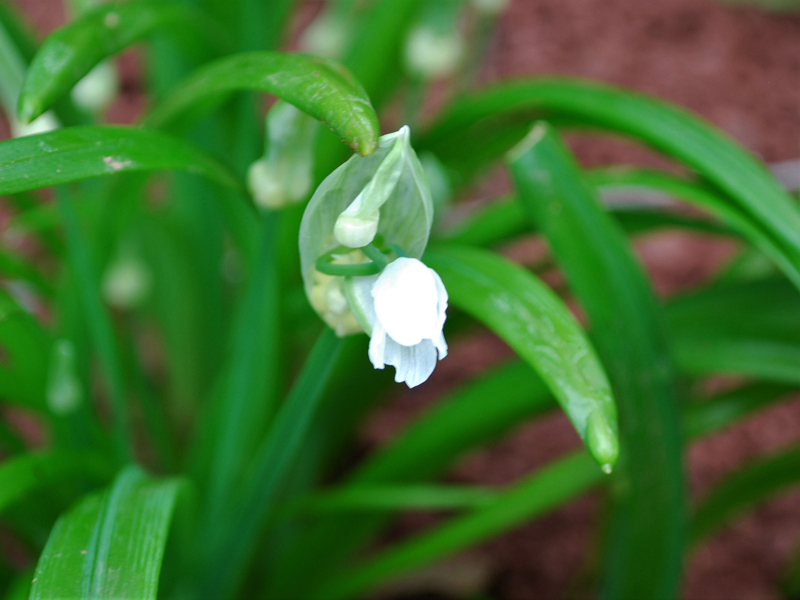 After the flowers wilt they leave behind small, garlic like bulbils that can be treated as such although they are not quite as strong in taste as garlic. 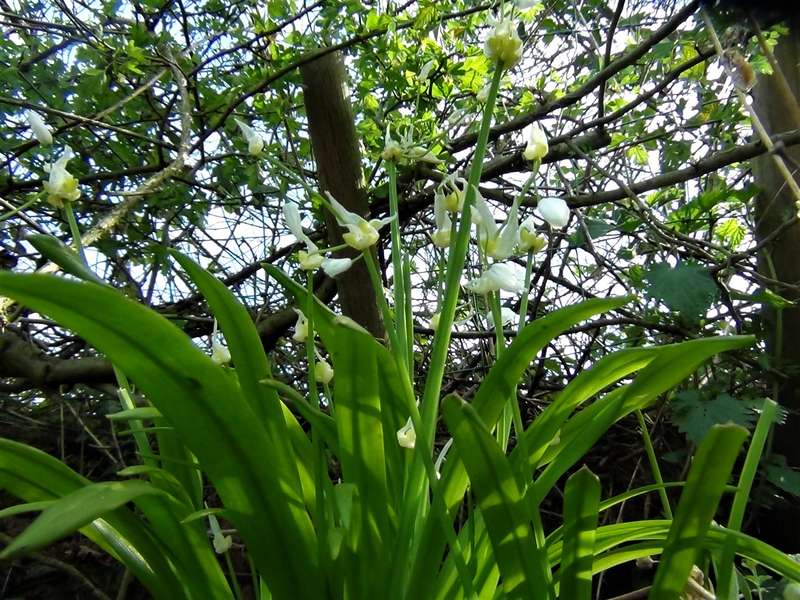 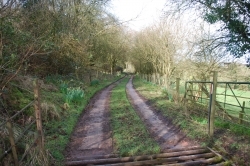 As an invasive fast spreading alien plant Few-Flowered Garlic can occur in many environments, hedgerows, woodland edges and clearings, flowerbeds, parks and verges. 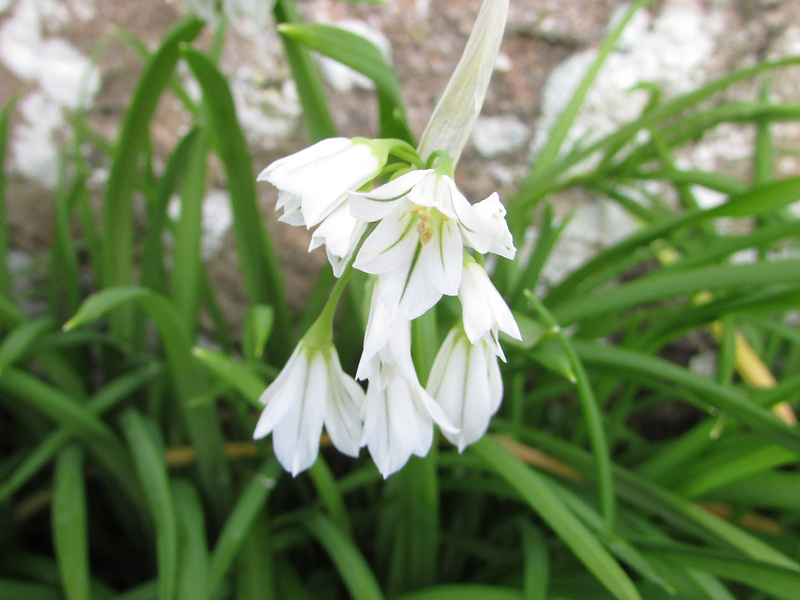 Can be confused with Three-Cornered Leek, pictured, but the flowers on Three-Cornered Leek have green markings and don’t develop bulbils. 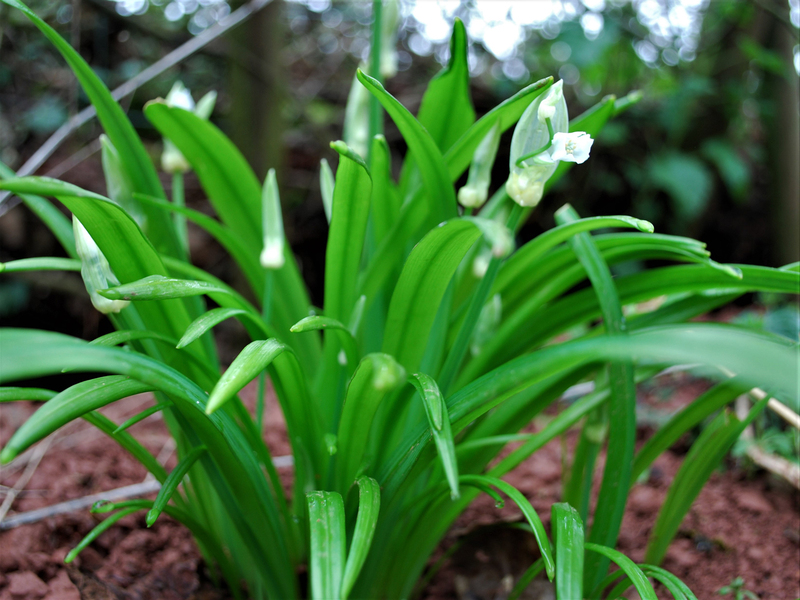 Could be mistaken for young Daffodils but the smell of garlic should help avoid confusion. 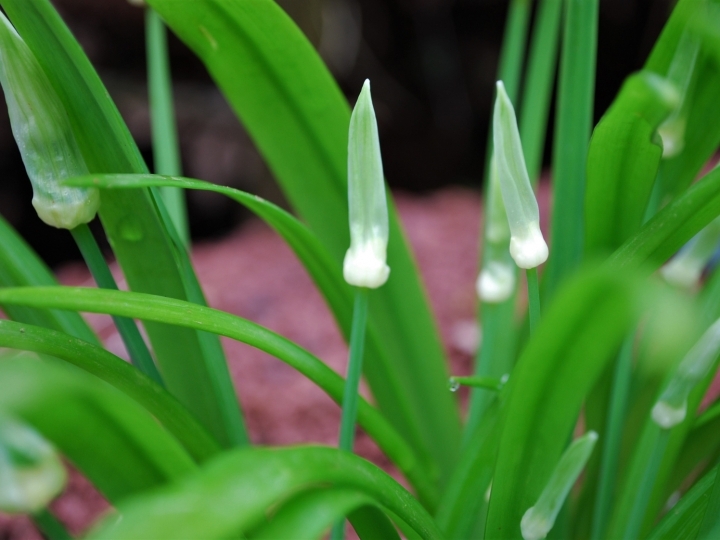 A cross between onion, chives and garlic. 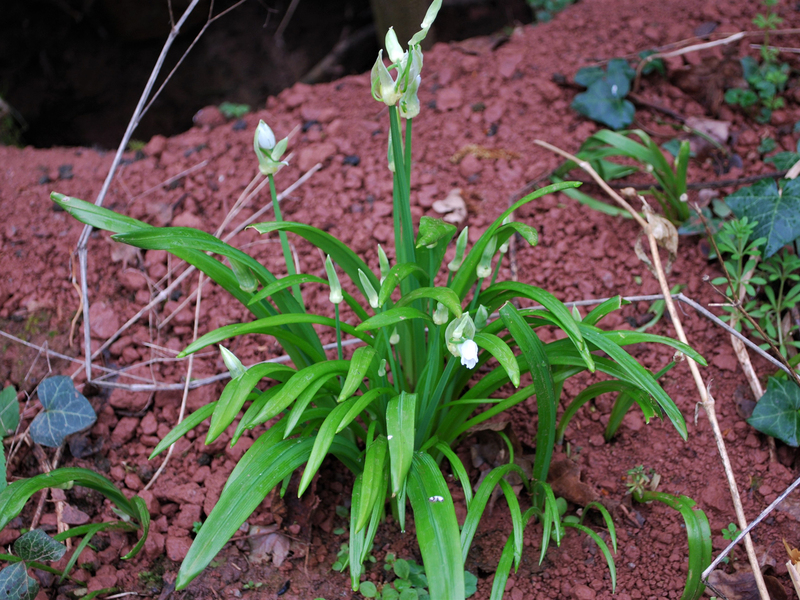 Not overly common but can be found in large quantities when it has escaped. 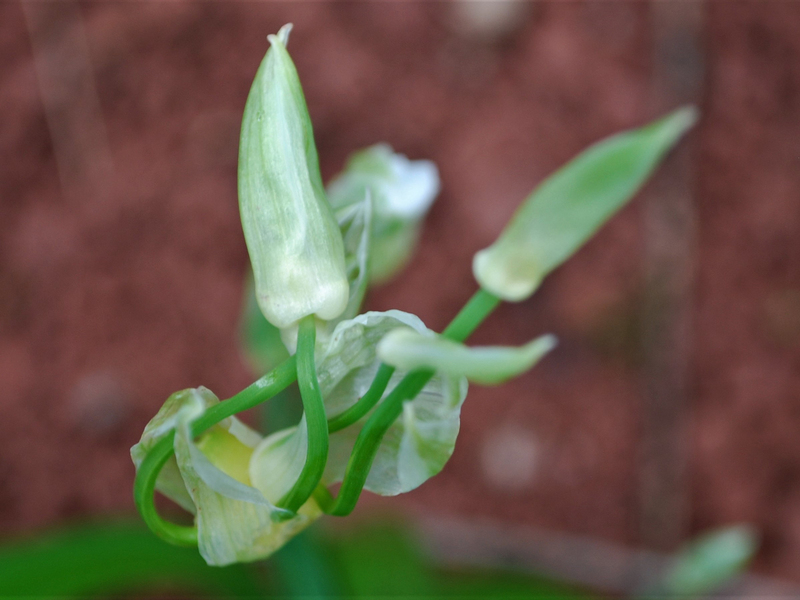 The leaves, flowers and bulbils are the edible parts of this plant. 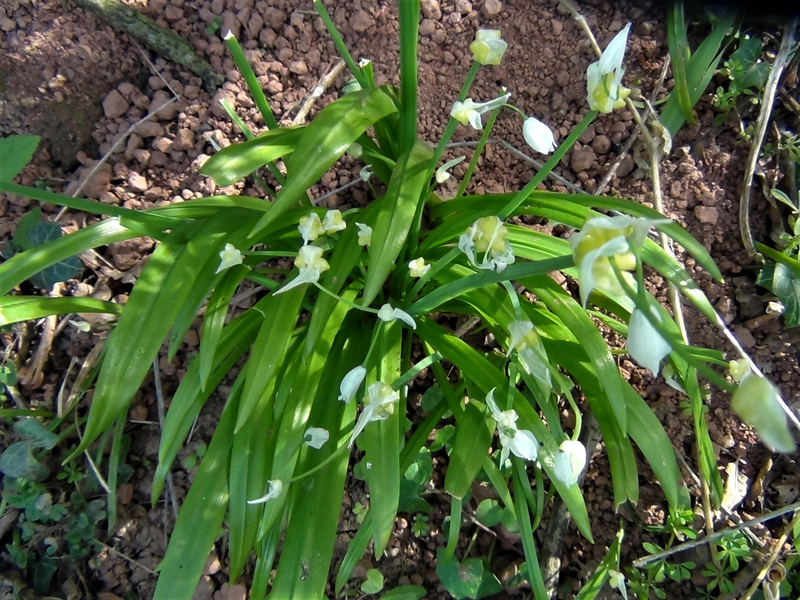 Few-Flowered Garlic is listed on schedule 9 of the Wildlife and Countryside act and as such it is illegal to plant or help spread this plant in the countryside.